It's that time of year again — time to make resolutions and get 2019 off to a fresh start! If you're like most people, you've probably made resolutions to improve your health in the past. Some worked, and others were downright flops. So, how do you ensure your 2019 New Year’s Resolutions are successful? 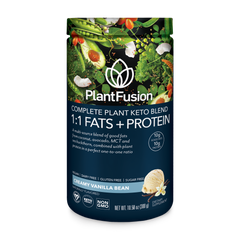 We've tapped into the PlantFusion community to find methods that are working for people just like you....... and we identified five potential "game changers" for healthier living in the new year. Why Don't Some Resolutions Work? One reason they don't always work is because they're not designed to help you deal with the real-life challenges that you face day to day. Resolutions are often massive changes you dream of making overnight. The reality is that they are more likely to be attained by adopting small daily changes one at a time until you reach your major goal. Sugar: It's so tempting! How can you walk away when coworkers leave tasty cupcakes in the break room? Plus, how much easier is it to grab a sugar-filled snack than a healthy one? Fatigue: With a routine jam-packed with work and family obligations, you don't have the energy to prepare a healthy meal, let alone run on the treadmill for an hour. Time Limits: You have exactly 2 spare minutes to whip up breakfast before running out the door. And you have exactly 9 minutes to eat a healthy dinner. You know the feeling. Choices: There are so many different workout routines and diet plans out there, you may feel overwhelmed by choices... and the easiest choice is "none!" Lack of Motivation: Motivation is the first step towards meeting any goal, and many people aren't sure what it takes to get motivated. The key to actually keeping your health resolutions is to create a plan that addresses these challenges, and work toward your resolution one goal at a time. That's where PlantFusion's New Year's Toolkit comes in. We call this the PlantFusion New Year's Toolkit, but that's a bit of a misnomer. Really, it’s your toolkit — full of tools that you can customize depending on your needs. Also, you can rely on these tools throughout the year, not just in January. It's never too late to make a change. If you feel inspired to make a change in June or August, go for it! You don't have to wait until 2020 to make it a resolution. So, now that we've established that this is really your year-round toolkit, what tools does it contain? When it comes to healthy eating, one of the biggest challenges is not having the time to prepare food at home. After spending quality time with the kids, it's just easier to grab a frozen meal or order takeout. Thankfully, there are some awesome tools to help with this. Meal delivery kits, like Blue Apron and HelloFresh, deliver pre-prepared healthy ingredients to your door. Most of these meals take less than 30 minutes to prepare, and you can get the whole family involved — combining family time with cooking time. Another option is to create your own "meal kits." Buy healthy ingredients like fresh veggies, whole fruits, lean chicken breast, and ancient grains. Prepare them on the weekend, and stash them in the fridge. On a busy weeknight, you can use your prepared ingredients to whip up a pita sandwich, stir fry, or omelet in a few minutes. Fill containers with snacks and easy on-the-go foods. Or, you can even set aside a few hours to make healthy meals and freeze them. Others have found winning tools like a slow cooker or the magical Instant Pot. Both allow you to throw your ingredients into one dish/cooker and get your meal minutes to hours later. The key is being creative and scheduling the time to prep healthy options each week. You’ll find a few hours work prepping will give you plenty of healthy rewards throughout your busy week. So, you've carved out the time to go to the gym... but sitting on the couch is so much more tempting! To get you motivated, we recommend adding a fitness app to your toolkit. Apps like Google Fit and MyFitness Pal track your fitness progress. Once you start seeing your fitness improve, you'll be more motivated to keep pushing ahead. Another great tool for improved fitness — a much lower-tech one — is a workout buddy! If your friend is waiting for you at the gym or at the trailhead, you're not likely to stand them up. You could even create a Meetup group and get yourself a whole tribe of workout buddies. The first step is always the most difficult. But again, adding it to your routine and finding ways to be accountable is essential. They don’t call it a “work”out for nothing. If you manage to make it to work every day, you’ll be able to find ways to work out every day too. Don’t get too down on yourself if you go through a slump. Everybody misses workouts. The difference between success and failure hinges upon your ability to get motivated again…and one way to do that is to call a buddy and get moving. When all else fails, hit social media and admit your problem. It’s amazing how an online community will rally behind you with tips, tricks, and encouragement to be successful in your fitness endeavors. Heck, you can even pull up streaming workout videos on Amazon or Netflix like some of the PlantFusion community does when they need a good workout in a pinch. When you're tired, you'll have a hard time achieving any health and/or fitness resolution. You won't feel like working out, and fatigue also boosts your levels of hunger hormones — so you won't be able to say "no" to those chocolate cookies. SleepTracsPro is a great sleep app for those who have iPhones. It lets you schedule and track your sleep, and it also has a handy feature that sounds your alarm when you're at the "right" spot in your sleep cycle. This helps ensure you actually feel rested and alive when you wake up. You’ll also want to design a bedtime routine than fosters quality sleep. That means turning electronics off at least an hour in advance, doing calming activities, and finding ways to healthily shut your mind off before your head hits the pillow. Some of our readers love journaling, a walk, or working on a calming hobby before bedtime. A great way to stick to your health resolutions is to make healthy swaps. This is swapping a healthier food alternative in place of one that is less-healthy. For example, you can swap low-fat Greek yogurt for sour cream in baking and dips. You can swap quinoa for white rice for a higher-fiber, higher protein, more nutrient-dense side dish. Swaps also apply to exercise. Switch out your daily car commute for a bike ride once a week to burn more calories. To make healthy swaps easy, make your own swap chart. List all of the unhealthy foods you love, and then look up healthy substitutes. Add them to the chart. Include a section with swaps for your unhealthy habits, too. Post this chart on your fridge so you can reference it as needed. ***Don’t underestimate the power of this tactic. It’s little things over a long period of time that make the most impact! Finally, you need a tool to keep you on track on those crazy-busy days when nothing seems to go your way. PlantFusion Complete LEAN is that tool. This delicious, plant-based protein powder can be your go-to breakfast on a busy morning that keeps you from dropping by the doughnut shop. It can even be your midday snack, allowing you to walk by the break room cookie display with confidence. The most difficult jobs are seldom done with just one tool. Combine the different tools above to find a solution that fits you. For instance: use Blue Apron for healthy dinners, and make PlantFusion Complete LEAN your go-to for breakfasts. 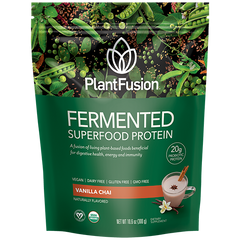 Or, you can make PlantFusion Complete Protein your healthy swap for late night desserts! Our indulgent Red Velvet Cake and Cookies N Crème flavors kick cravings to the curb. As you use these tools to meet your New Year's Resolutions, remember to start slow. Make one small change at a time. Also, reach out to the PlantFusion community! You'll find support from people just like you, along with more tips and tools for success. For a limited-time, we’re accepting a select number of new members to the PlantFusion Support Community on Facebook for 2019. The group is made up of hundreds of people like you who are looking for support and encouragement. It’s managed by our full-time staff of fitness coaches and nutritionists. Click here to join.